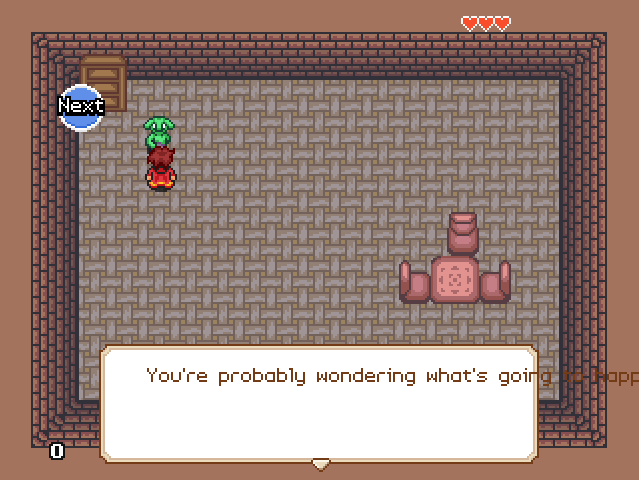 I'm playing with NPCs and dialog to get a feel for how conversations are supposed to work. it looks like this might just be a bug with the base game that gets generated when creating a new quest, and I guess it's possible to modify the message box to fit the width in some way, but is there a particular reason that long text doesn't correctly wrap? Do I need to insert a newline symbol in my dialog strings? Got it, thanks for pointing me in the right direction here. It might not be a crazy idea to include wrapping capabilities as a sane default in a future version, perhaps.